Mathematics is part of daily life and is treated this way in the curriculum here at Ormsgill. We aim to impress upon the children that their basic number and maths skills are necessary in everyday situations. Mathematics helps us understand the world and we aim to give the children the skills they need using a variety of approaches, so every child is learning the way they need to be taught. 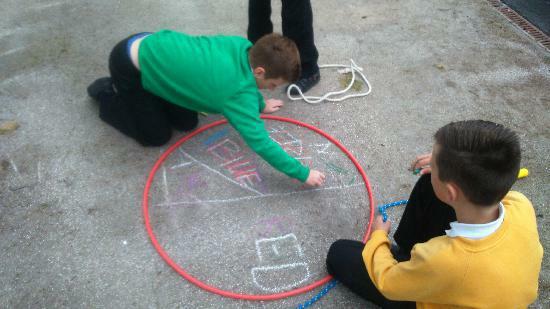 We teach Maths daily to secure a range of mathematical skills so the children can apply these to the real world. follow clear teaching sequences that see basic essential skills being revisited often so children secure and then deepen their learning to a level they have the potential to achieve. understand that mathematics is an essential part of a wide range of learning and so we give opportunities for the children to broaden their maths skills across the curriculum. know that some children will encounter barriers to their learning and aim to step in as quickly as possible with extra support. To help children close any gaps in a supportive way to encourage their confidence as well as their skills.